Eight inspiring stories of heroism and the re-building of independent, productive and fulfilling lives after seemingly impossible circumstances. This book isn't about war or politics - it is about figuring out what it takes to move forward AFTER the war. I wrote this book to raise awareness of what our warriors need most when they return, what the government does and doesn't provide and why there is a high demand for private non-profits to fill the gaps. Make no mistake - we are in this period of recovery and rehabilitation for decades to come. It also introduces the non-profit organization Warrior Foundation~Freedom Station which has taken on the task of helping our combat-injured men and women make the daunting transition from military to civilian life. In this much-needed labor of love, it's not about the war - Its about the warrior. 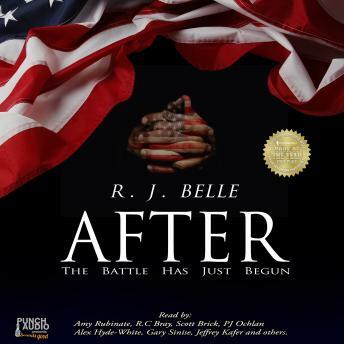 100% of the authors proceeds benefit Warrior Foundation~Freedom Station.